If you are creative and like to design, then you have an interest in engineering. If you play video games, like to draw, use technology, like math and science, then you are on your way to becoming a future engineer. An engineer is essentially a designer. Engineering is defined as “the application of scientific and mathematical principles to practical ends such as design, manufacture, and operation of efficient and economical structures, machines processes, and systems.” Student can expect to study engineering as an integrated creative STEM curriculum. STEM is an applied integrated approach using Science, Technology, Engineering, and Mathematics as tools to create product, whether it’s a house, car, cell phone or robot. Engineering by itself is the embodiment of STEM. It is the practical application of physics in the real world. Remember Wood Shop, Metal Shop, Electronics, and Coding? 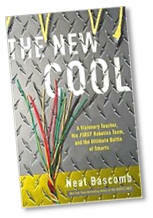 Now all in one, infused with Robotics – The New Cool!